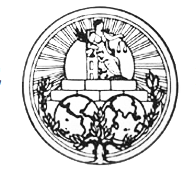 This paper aims at summarizing the situation regarding withdrawal clauses included in arms control treaties and, as a result, stimulate the negotiations towards a treaty prohibiting nuclear weapons. It does not take a stance on whether it is appropriate to include or not a withdrawal clause in such a treaty. SLND might come up with a position paper at a later stage. In part (A), an overview of withdrawal clauses in “traditional” arms control treaties will be given. In part (B), examples of modified withdrawal clauses adapted to the “humanitarian” nature of certain treaties will be discussed. 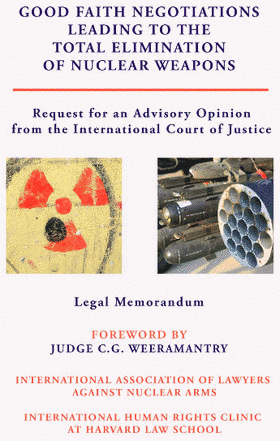 Part (C) will address and compare advantages and drawbacks of withdrawal clause and part (D) will suggest certain aspects that we consider particularly important for the negotiations in view of a new treaty banning nuclear weapons. A giant of the law, Christopher Gregory Weeramantry, died peacefully at his home in Sri Lanka on January 5, 2017. He was everything a lawyer could be: barrister, professor, judge. From 1967 to 1972 he served as a Justice of the Supreme Court of Ceylon (now Sri Lanka) and then as a judge of the highest tribunal on matters of international law in the world, the International Court of Justice in The Hague, from 1991 to 2000, the last three of those years as its Vice-President. 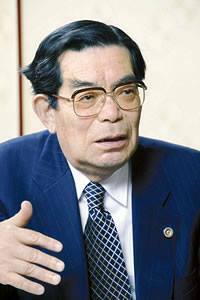 Masanori Ikeda, a lawyer who led work of JALANA as secretary general, vice-president, president and a board member, passed away on November 13, 2016, at the age of 88. IALANA deeply regrets that the International Court of Justice, in the Marshall Islands’ three nuclear disarmament cases, failed to demonstrate that it is, truly, the World Court. “Good Thinking” is a documentary on those who tried to push back on nuclear weapons, four plus years in the making. Imperfect, and perhaps nothing new, and a thousand more stories to be told, but for the general public it may be another tool that helps to introduce the concern, to widen the perspective, deepen the knowledge base and history, and encourage us all forward. The Japan Association of Lawyers Against Nuclear Arms (JALANA) makes the following requests to President Barack Obama on the occasion of his visit to Hiroshima.